CHICAGO (WLS) -- Thousands of buildings across the northern suburbs have been damaged by flooding. 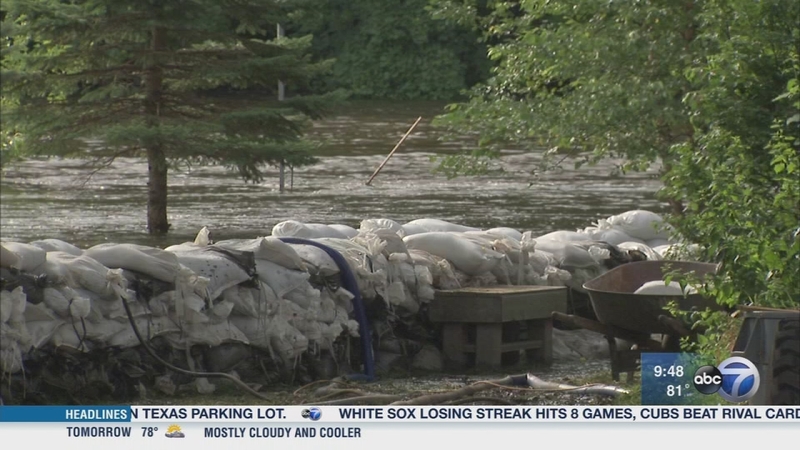 Heavy rains caused the Des Plaines and Fox rivers to spill over their banks. Illinois Governor Bruce Rauner issued state disaster declarations for Cook, Kane, Lake and McHenry counties. Talking with us about what that means for home owners and how to avoid scam artists as families work to make repairs are James Joseph, director of the Illinois Emergency Management Agency, and Thomas Johnson, the director of public and board relations at the Better Business Bureau. If you've fallen victim to a scam report it to bbb.org/scamtracker. Thousands of buildings across the northern suburbs have been damaged by flooding.